Contact Dee One Property below. We will not reveal your information to any third party. If interested in a specific porperty, please tell us which Property ID or copy the LINK of the property on the website. 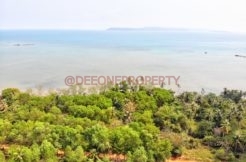 Dee One Property Koh Chang aim to centralize the real estate offers and demands on Koh Chang island, Trat, Thailand. We offer a full range of quality service to everyone considering an investment on this tropical paradise. Whether you want to buy, sell or rent a property, land or business we are your best choice. Subscribe to Dee One Property monthly Newsletter for stay informed about Real Estate news & opportunities in Koh Chang !